Register today for New Student Orientation (NSO) by using the sign-up form at the bottom of the page. NSO will be held Tuesday, August 28, from 8:30 a.m.– 11:30 p.m. Afterward, a BBQ lunch for staff and students will be provided from 11:30a.m.-1p.m. in the student commons area. 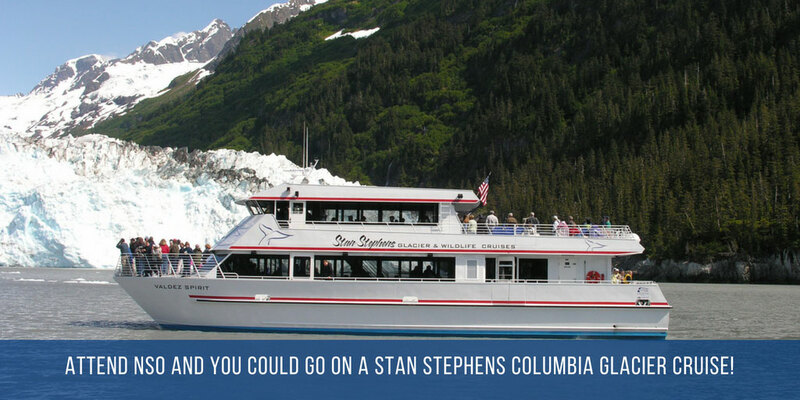 Stan Stevens Columbia Glacier Cruise: For new fall students only, attend Tuesday’s Orientation to be entered to win a spot, there are 10 spots total. 10 lucky new students will go! A drawing will be held during NSO, and names will be announced at that time. The cruise will be held on Sunday, September 2, departing at 10 a.m. Prepare students for success at PWSC. Create social and academic connections. Introduce students to college resources. Immerse students into the college and community culture. Have an opportunity to meet faculty, staff, and fellow students. Discover campus resources and gain helpful tips. Learn about your rights and responsibilities as a PWSC student. Explore the community and clubs. PWSC Academic Advisor Heidi Franke is offering a Google Hangouts session for any student who can't attend NSO in person. Please email Heidi Franke at hafranke@alaska.edu, or call her at 907-834-1626 to request to attend a NSO Google Hangouts session. Friday, August 24, 3-4 p.m.: Campus Tour and Crash Course. Meet in the PWSC Atrium to tour our campus and get the inside scoop on campus resources. Parents are welcome! Sunday, August 26, 2-4 p.m.: Ice Cream Social. Join us in the housing courtyard for yard games and sweets. All students, staff and faculty welcome! Monday, August 27, 9-10 a.m.: Campus Tour and Crash Course. Did you miss our Friday tour? Classes start today! Meet in the PWSC Atrium. Parents welcome! 8:30-11:30 a.m.: New Student Orientation. In room 165. 11:30-1 p.m.: Staff and Student BBQ. In the Student Commons, open to all new and returning students, staff, and faculty. Play games, eat food and relax! 11 a.m.—Noon: Animal Shelter Adventure - Snuggle with dogs, cats, and ferrets. Fur real. Meet at Cordova hall at 10:45. 12:30—1:30 p.m.: Lunch at the Valdez Library - Get set up with local resources and the UAA consortium library while noshing. 3—5 p.m.: Open Lab: Room 168. Learn to navigate your Blackboard classes, print stuff, get help. Sunday, September 2, 10:30 a.m.: Stan Stephens Columbia Glacier Cruise - For new fall students only, attend Tuesday’s Orientation to win a spot! Limited seats available! Meet at Cordova Hall and walk to the docks at 10:00 a.m.